As I have said before I don't honestly review production design books but making an exception when Harry Potter falls into that category. Presenting my views over Harry Potter Page to Screen: The Complete Filmmaking Journey by Bob McCabe. Nothing much to say about the contents of the book, it should be fairly visible from the title itself. Page to Screen is a complete rundown of the conceiving till end of the decade long phenomenon Harry Potter. How David Heyman first got the idea to bring the Harry Potter stories to the big screen. How all the characters Harry, Ron, Hermione, Dumbledore, and the others were signed up. How the ig creative creature came together to bring gargantuan Hogwarts, Diagon Alley and the mysticality of the magical world be brought to life and seen to the end. Its all done in three parts. All the eight films are discussed greatly in terms of production, casting, special effects employing, the challenges each film presented and a lot of comments from the actors, creative team and the directors and the producers. We are introduced methodically to every movie and the side note to how some of the big effects were created and made believable also adds points to the whole write-up. After this first half, the next half of the book is more where the encyclopaedia designation comes in. Giant chunks of the book are dedicated to costumes (really, characters), sets, props, and creatures and what went into the design / how they came to life / concept art. Regarding this book took me ages to finish, it'll be safe to say that every inch and every line of the book shows us the hard work that went into creating these 8 movies. Gives a serious appreciation FOR the amount of work that went into creating them, and it astonished me how often the techniques I assumed were CGI were actually grounded quite heavily in old-fashioned tricks like miniatures and robots. It's a lot to kind of slog through and absorb all at once. 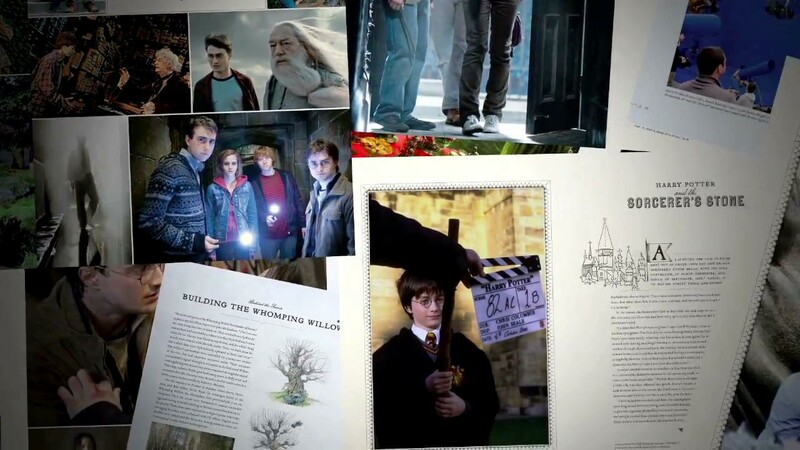 Page to screen also helps us see the way every Potter director worked and helped the world grow with their vision. But a major plus to this whole book is the artwork and the pictures. 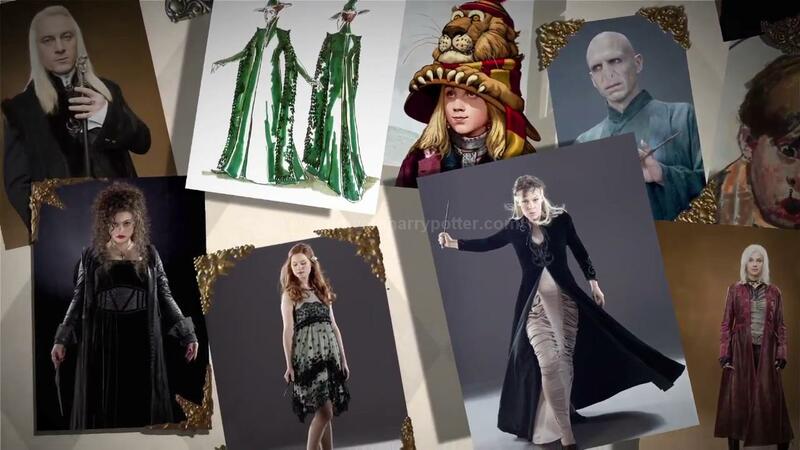 While the first half presented pictures shot during the movies, the second half was abound in concept art and details about how every nook and cranny of the magical world comes to life on the silver screen, every creature, every prop, costumes and sets are presented for the public to see. That being said i'm sure you'll all remember that another book just like this was released before the final 2 Potter movies realeased...Yes I'm talking about Harry Potter Film Wizardry(Click to see the review), while yes a lot of things presented in this book are also found there and some of you all may find getting Film Wizardry as it is cheaper but Page To Screen makes one hell of a companion to the Potter Saga. It is definitely something I will go back to again in the future. "A gigantic edition to the Potter Phenomenon"
I thought I would get this book for Christmas just because I am such a big HP fan- but no one got it for me. After reading this review I now know that I must go out and get it for myself. I love the books and I find the movies delightful. I think of the movie characters as people I know and would love to see how everything was created. From your review it sounds quite fascinating.